Wynonna released a video for this new song. 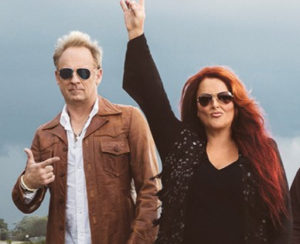 Wynonna released a new video recently and it’s been getting some great attention. People have been watching it over and over. Wynonna is still signed to Curb Records. She released a new album last year and it seemed to sell pretty well by today’s standards. Wynonna sounds as good as ever. She’s stunning and leaves a mark on this video. This one seems to have a very simple lyrics. It leaves a little open to interpretation. I think it’s an example of the songwriter writing about something very specific. Perhaps something that happened in their life that really left a big mark. But instead of getting too specific with it they leave it vague. They keep things simple so that listeners can relate their own story to it. I’m sure something drew Wynonna to the song. The video seems to have one meaning. But there seem to be many others that would fit. It sounds like it’s about survival. Taking whatever comes at you and finding a way to keep on going. To keep on staying alive and thriving as best as you can. The sound in this one is something that stands out too. There is definitely something dark going on even though the song seems to be about the positive of staying alive no matter what comes your way. Wynonna is in top form with this one. I don’t know if this will have a future at radio, but I’m sure fans will pay attention to it.